Incorporated in 2004, Creative Peripherals & Distribution is engaged in the business of distribution of IT products, Imaging, Lifestyle and Telecom products. The company operates out of its 20 branches covering the geographical territories of the country. The company commenced its operations with distribution of IT products and started with distribution of Microsoft hardware, Epson Printers, AOC TFT Monitor and continued adding newer products/brands to portfolio. Engaged in distribution business, the company has partnered with a number of renowned brands for distribution in the country such as Rapoo Technologies Limited, Lino Manfrotto + Co S.p.a, Transcend Information Inc, ViewSonic International Corporation, Olympus Corporation, Belkin Inc, Zioncom (Hong Kong) Technology Limited, Apple India Private Limited, Sennheiser Electronics India Private Limited, Gopro Cooperatief U.A, TPV Technology India Private Limited, Printronix, SIEPL India Electronics Private Limited, Vintron Infronatics Limited and Samsung India Electronics Private Limited specialising in IT, Lifestyle, Imaging and telecom products. The company operates in the indirect sales model and it plays the role of supply chain consolidator between several IT manufacturers and many IT channel partners. It operates with a dealer network of around 6,000 dealers. It acts on a principal to principal basis, purchasing in bulk from the vendors and further down selling them to resellers/sub-distributors/ system integrators and retailers. It purchases from vendors and sells only to channel partners who are typically corporate resellers, retailers and systems integrators. 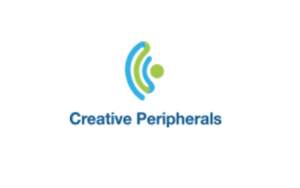 Creative Peripherals & Distribution IPO allotment status is available on Bigshare Services Private Limited website. Click on this link to get allotment status.